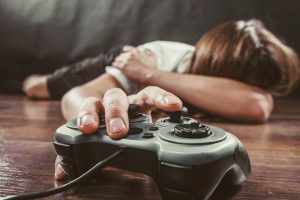 All the free-wheeling, high-flying fun in video games may have real consequences for the brain, especially if the games are violent. Scientists are studying the effects of video games on children and adults. So far, the evidence is inconclusive. Some studies suggest there are harmful effects, because children behave aggressively and violently after playing violent games. Other studies disagree, noting that playing a violent game is not necessarily the reason a child acts out. Still, the World Health Organization includes gaming disorders as a part of its official disorder list. Historically, violent crime rates drop, following the release of violent video games. In 2015, researchers surmised that people with violent tendencies may express them in a game, releasing the urge to commit violent crimes. It’s a hot topic of late given the rise in school shootings nationwide. However, only 20 percent school shooters actually play violent games. The fight to change gun laws in America has thrust video games into a national debate. Politicians are taking sides on whether or not video games cause violent behavior. According to the NRA, video games may cause school shootings. The U.S. government vowed to study whether or not a correlation exists between video games and school violence at the time of the Sandy Hook school tragedy. A study by Jack Hollingdale from University College London and Tobias Greitemeyer, University of Innsbruck, found that Chinese teens who play violent games have low empathy levels and more aggression than those adolescents who do not play against human opponents. Video games in general have some positive effects on those who play. Some researchers believe that the technology may change the way humans learn by increasing problem-solving skills. Studies found links between gaming and creativity. Even virtual reality gives doctors a way to treat patients with Post Traumatic Stress Disorder. Given the applications, it’s likely the video game market will continue its popularity.